Toyota's interest (if not yet involvement) in aviation, although long held a secret, has been going on for about fifteen years. The firm once had a program to develop an aircraft engine, and they even got an aircraft version of a Lexus V-8 certified, but it never went into production, and they gave it up a few years later. 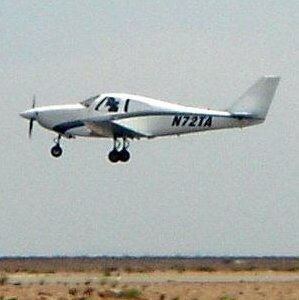 The Model 191-4 general aviation prototype, which first flew in October 1991, was developed specifically by Scaled for Toyota as a test-bed for that engine, and flight tests were conducted at Mojave airport in the early 90's. Then in 1999, several reports indicated that Toyota was advertising for engineers to design and certify a new four-place composite airplane, which was later refered to as the TAA-1. Ads were seen in southern California and Duluth, MN (home of Cirrus). 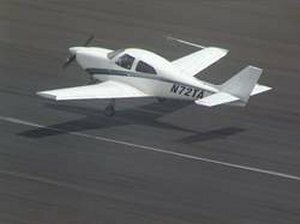 AOPA reports planned for two airplanes; one with a 139 kt. cruise speed powered by a 160 hp engine, and one with a 160 kt. cruise speed, powered with a 200 hp engine (the latter probably being the projected TAA-2, which apparently wasn't built). "There's a potential for a business opportunity here, and that's why we're studying it," Toyota spokesman Mike Michels said. "The current aircraft out there are really getting old. There's going to be some demand for new planes to replace these." 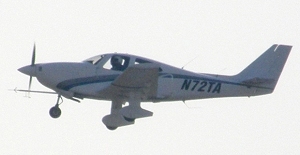 The TAA-1 was initially supposed to be fixed gear and the TAA-2 project was to have retractable gear. What actually got built as the TAA-1 was a mixture of the two designs. "They've had a long-term view that a general aviation airplane would be the Toyota car of the future," said Jon B. Kutler, president of the aerospace investment bank that has advised the manufacturer. "They pride themselves in looking 100 years down the line and they see general aviation as a future." But the program, the bulk of which has been spearheaded by Toyota's U.S. operations in the South Bay, has remained out of the limelight even to observers of the general aviation industry, many of whom were unaware that Toyota has been quietly developing the plane. One reason is that Toyota executives have been unusually coy about disclosing any details of the aircraft program. Toyota in the U.S. first had no comment on the closely guarded project. Although the company later acknowledged that a test flight had occured, a spokesman refused to divulge details. After initially refusing to talk about the program, a spokesman confirmed that 40 aerospace engineers, hired away from some of major aerospace concerns such as Boeing Co. and Raytheon Co., had been working on the aircraft for at least four years." The only thing we are saying is that we did indeed conduct a test flight," said in 2002 Xavier Dominicis, a spokesman for Toyota Motor Sales USA, whose Aviation Business Development Office in Long Beach oversaw the project. "We are studying the potential for a single-engine piston plane but there is not a lot we can say." Although Toyota officials were downplaying the program, former company Chairman Shoichiro Toyoda acknowledged that Toyota was seriously considering building small private airplanes. In an interview with Business Times in Singapore, Toyoda, whose father founded the company, said that although "our main business will still be automotive-based, we are studying the opportunities" for a light aircraft." In the U.S., there are 200,000 propeller planes, many of them aging," Toyoda told the newspaper, explaining that the U.S. would be the target market if Toyota was to begin making the aircraft. Aerospace analysts said it wasn't surprising that Toyota would want to target the U.S., because it is the world's largest market for private airplanes, many of which are more than three decades old. The average age of a four-seat, single-engine piston airplane, the type that Toyota is considering, is 32 years, according to the General Aviation Manufacturers Assn. There are 150,000 single-engine aircraft in operation, most of which are owned privately and would have to be replaced in the next decade or so." If Toyota can bring the quality and production skills to general aviation, they are going to have a very good place in the market," said Richard Aboulafia, an analyst with Teal Group Inc., an aerospace research firm in Fairfax, Va.
At Oshkosh '02, Burt Rutan spoke briefly about the Toyota project and confirmed that Scaled had been hired to wring out what was essentially a Japanese design. Rutan said the airplane had "some aggressive composite manufacturing" including single-cure technology for the wings and fuselage. It was also to have Japanese-designed, user-friendly avionics similar to what was found in luxury cars such as the Lexus. Contrary to some industry reports, Burt Rutan himself had nothing to do with the design of the TAA-1, which explains why the TAA-1 looks so un-Rutanesque. 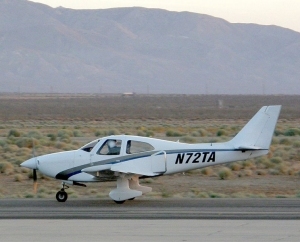 The prototype of the single-engine aircraft was designed and developed by Toyota Motor Corp.'s car designers and engineers from its Los Angeles office, with Toyota's Torrance, Calif., headquarters overseeing the project with a staff of about 40 people in the U.S. One source even claimed that Toyota had committed some 1,000 people worldwide to the general aviation development project which, if true, is a measure of their seriousness. Scaled Composites did not even build the TAA-1. Instead, Toyota had others make parts and Scaled then assembled them, installed systems and tested it at Mojave Airport as their Model 302, with the first flight late in May 2002. Interestingly, the photos that were released in the press weren't supposed to get out. The initial test flight was limited to 120 kt., and explored basic stability and control characteristics. Contrary to the rumor that the aircraft-qualified diesel Lexus V-8 powerplant developed during the Lima program was considered at one point, there were never plans to install the Lexus engine in the TAA, according to someone who has worked on the project. The official Toyota press release in Japan went like this: "Toyota Motor Corporation has successfully completed the first test flight of an experimental aircraft built to verify small aircraft technology in a joint project with Toyota Motor Sales, U.S.A., Inc.. TMC and TMS commissioned the roughly one-hour test flight, conducted in the vicinity of California's Mojave Airport on May 31, local time (June 1 JST), to U.S.-based Scaled Composites, LLC, which has a well-established experimental-flight track record. 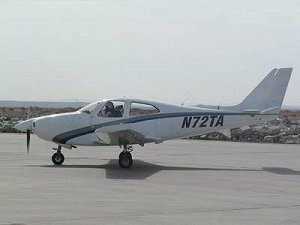 The short flight at Kern County's Mojave Airport, marked a major turning point for Toyota's ambitious goal of building airplanes that would be as simple to fly as driving a car, cost significantly less than the current generation of private airplanes and eventually be as ubiquitous as the automobile." "The test was part of TMC-TMS research to examine whether Toyota's aerodynamics and low-cost production technologies could be applied to the small aircraft sector. 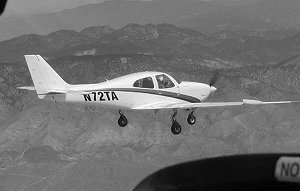 The aircraft used in the flight was a four-seat, single-engine piston plane fitted with an engine produced by an outside manufacturer. Its fuselage, consisting of a one-piece co-cured (single-molded) unit of a carbon fiber and resin composite material, is aimed at achieving excellent aerodynamic and cost performance when compared to conventional small aircraft. TMC and TMS plan additional test flights to complete a series of technological evaluations. Based on technology accumulated through its auto manufacturing experience, Toyota plans to continue with similar research in the area of personal aviation, with the aim of making contributions to general aviation technology." The wing—a proprietary Toyota design—and fuselage were each manufactured as single-piece units using carbon-winding techniques that promised greatly reduced production time and cost. The lightweight aircraft brought raves from Toyota's brass in Tokyo. Yet the program had its share of criticism from the press: "The new Toyota flying machine should be as simple to fly as driving a car. Except in places like New York and Los Angeles, probably (...) the true test of Toyota's future craft may be found in the skies above the road-rage wracked Long Island Expressway and the Brooklyn-Queens Expressway. Besides triggering an air traffic nightmare, the Toyota machine could spell the end of hamburger drive-ins and lovers' lane interludes, and forever change the American lifestyle built around motoring." (...) Where the Toyota craft would be parked or gassed up before a trip with the kids is uncertain because small private airports are disappearing rapidly from the countryside." The TAA-1 has been operating on an experimental certificate since April 12, 2002 and still appears on the US register as located in Mojave, but nothing has been said or heard about it, or any other Toyota aircraft project, since then. However, despite the fact that Toyota's aircraft business venture has adopted a low-key profile and their website is no longer online, one source claims that the program is still very alive in 2006. 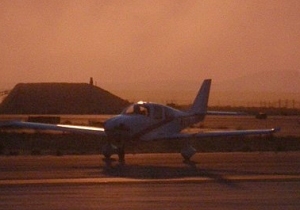 The Japanese company spent an estimated $50 million on the project, and apparently was committed to becoming a major general aviation manufacturer, bringing its successful automobile production techniques to the light aircraft industry. This raised eyebrows within the aviation industry as Japan's largest auto manufacturer signaled it was making a significant move forward with its long-held but little-known plans to build light airplanes. Scaled Composites forwarded telephone calls about the aircraft to Toyota, and claimed that the firm held the project so secret that Scaled people couldn't even get proper information for themselves from Toyota about the plane. Although Scaled Composites has remained extremely discreet about the TAA-1, Burt Rutan himself once made references to the aircraft at a university lecture, calling it "the aeronautical equivalent of the Lexus LS400." But Toyota faces difficult challenges, most significantly the widely fluctuating demand. 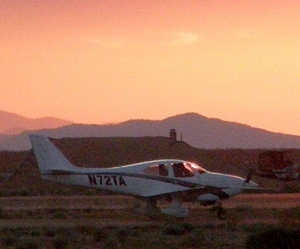 After peaking at about 14,000 a year in 1977, sales of single-engine aircraft plunged to less than 500 by 1994, as manufacturers left the market amid a flurry of crash-related lawsuits. With legislation that provided some liability protection, sales of the aircraft began to rise again and reached 1,810 in 2000 before falling a bit in the aftermath of the terrorist attacks. Textron Inc.'s Cessna unit, for instance, resumed building its popular 172 piston engine model in 1997 after the product's 11-year hiatus. Some analysts believe the market eventually will return to general aviation's heyday of the 1970s, which could provide a lucrative setting for Toyota's aviation ambitions. Regardless of market conditions, Kutler said, building a simpler and cheaper airplane won't be Toyota's biggest challenge." 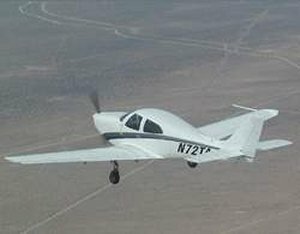 You can make a plane that is as easy to fly as to drive a car but what breaks down is that it's a lot harder to get a flying license than a car license," Kutler said, adding that fewer people are learning to fly as the glamour of flight has dimmed since the early years of the Space Age. In any case, Toyota envisions an airplane constructed mostly of composite materials that would cost about the same as a high-end Lexus, somewhat above $50,000. That would be a fraction of the cost of current private airplanes, with starting price tags of about $150,000. It also would entail less maintenance and be as reliable as one of its sedans.